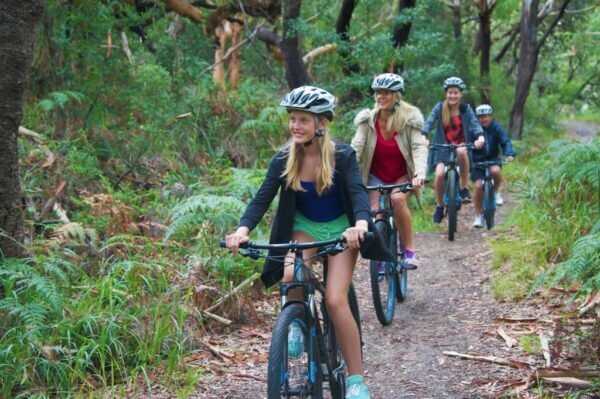 Here is a list of things to do in Port Stephens NSW during the school holidays to entertain, thrill and excite the whole family. While staying at The Retreat our office staff are happy to assist with all activity bookings and ad ditional information is available. A short 5 minute drive from The Retreat, this Unique experience is a lifetime opportunity to interact with marine life by joining them in their world. Feeding a natural predator in the wild can create an array of impacts from damaging delicate ecological systems to influencing the behaviors of these animals to associate humans with food. Irukandji takes away that danger with a wide array of friendly Sharks and Rays just bursting to say Hi. All cruises depart from Nelson Bay at D’Albora Marina where you can cruise the beautiful water ways and Marine park of Port Stephens on-board either Tamboi Queen Cruises, Moonshadow or Imagine Cruises. All companies offer completely different styles of vessels sot he choice is yours. Dolphin cruises go for 1.5hrs and Dolphin sightings are guaranteed. Various times are available through out the day and all boats offer boom net rides. Located at Salt Ash which is 15 minutes from The Retreat, Oakvale Farm is fantastic and offers entertainment for the whole family. 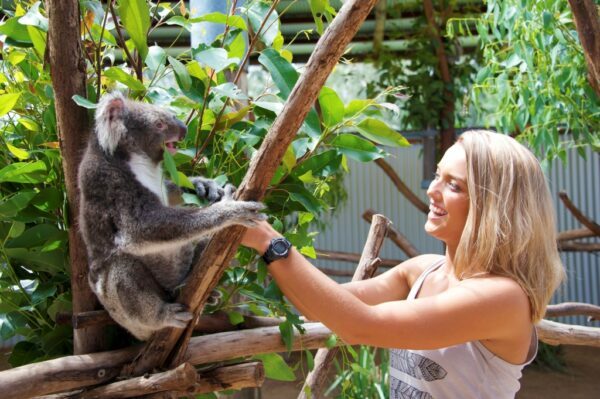 You can pat a koala, milk a cow, hand feed free range animals, ride a tractor, see emus, dingoes, cassowaries, camels, ducks, deer, sheep and lambs, goats and a huge range of other native and farm friends. Watch snakes, lizards, turtles and baby crocs in the reptile ravine. Use the free BBQ facilities or eat at the kiosk and eatery. Get up close and personal and truly experience life with the animals. Take the invigorating short walk to the summit of Tomaree Head, 161m above the Port Stephens entrance. As you hike the track, you’ll enjoy unparalleled views of idyllic Port Stephens and its coastline. From the top, you can even see as far as Cabbage Tree and Boondelbah islands – these nature reserves are the world’s only nesting sites for the endangered Gould’s petrel. SDA offers a unique point of difference with ‘exclusive access’ to the largest Sand Dunes in the Southern Hemisphere as well as offering an authentic Aboriginal cultural experience (on country). SDA offers an educational style product and is the only Indigenous tour operator in the region who is sharing culture at this high end level. 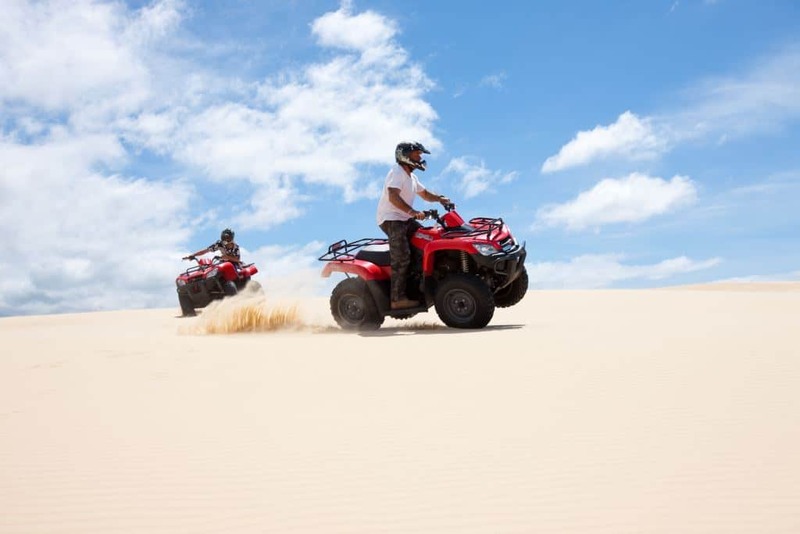 Additionally, given the size of the SDA dunes, we are required to utilised larger quads (400cc) to provide easy access through the magnificent dune system. 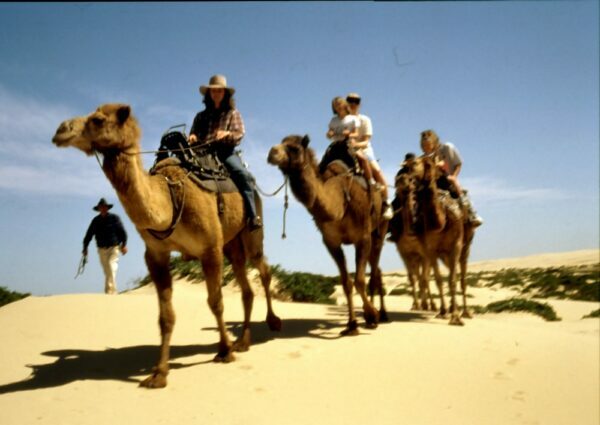 An experience of a life time are the Horse Rides and Camel rides on the Beach and Sand dunes.Camel Rides are held every Saturday and Sunday of the year and every day during School and Public Holidays at Birubi Point, Anna Bay, Port Stephens. Birubi Point is the northernmost point of the 32 kilometers of Stockton Beach, the largest moving coastal sand mass in the southern hemisphere.Camel Rides last for 20 minutes. We also offer hour long Sunset rides so you can have fun and enjoy the peaceful Sunset at Anna Bay. A guide will take you on an adventurous ride along the pristine coastline before we journey 40m above sea level up the towering sand dunes to soak in the magnificent landscape of the Worimi Conservation Lands. You will enjoy being in the saddle of one of our reliable horses. This ride is for the adventurous intermediate+ rider age 16 and over. Toboggan Hill Park offers family fun for everyone with a great range of indoor and outdoor activities including hot ice skating, indoor rock climbing, giant maze and toboggan run. A great range of ticket options available offering hours of entertainment. Learn how to stand up paddle and have SUP lessons at Port Stephens Surf School, a Surfing Australia accredited learn to stand up paddle school, located on Dutchmans Bay Beach. Stand-Up Paddle is the complete health and fitness package. It combines the great outdoors with a full body workout that is fun, relaxing. It is excellent for surfers and non-surfers, beginners and advanced, male and female, young and old and everyone in between. Stand Up Paddle lessons are a great way to have fun in the ocean with friends or family. A short walk from The Retreat has you at David Grahams Golf complex where you can have a round on their 9 hole Golf course, have a hit in the 260m Golf range, have a swing with Australia’s first baseball pitching machine, a friendly game of undercover Putt Putt or have a go at Laser Clay Pigeon shooting.